Mildew smell from your carpet can severely affect your health. Mastering essential tips on how to remove mildew and mold embedded in the carpets is crucial to all homeowners. Allergic symptoms like watery eyes, fatigue, headache, nasal congestion, sneezes, and runny noses are primarily caused by mildew and mold. People suffering from other respiratory diseases, the elderly, and children are at a higher risk of suffering from such allergens. Always ensure your home is free from molds and mildew. Mildew and mold thrive in damp areas, and carpets form the best breeding grounds. Microbes usually multiply in environments where soil combines with wet conditions. The type of your carpet will determine the best method of cleaning. Also, consider the sub-flooring and padding. More cleaning will be necessary if the pile is thicker than thin. What Do You Need to Remove Mildew? How Should You Remove the Mildew Smell? 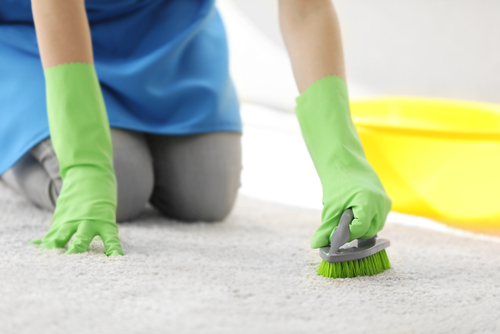 When preparing to remove mildew smell from the carpet, you need to protect your hands, eyes, and mouth. Mildew and mold are extremely toxic, and you should never breathe or get those toxins near your skin. Make sure you have some eye protection like goggles, mask or bandanna for your mouth, as well as, gloves for your hands. Cleaning the carpet alone will not necessarily help you to overcome the mildew and mold menace. You can test for mildew and mold using different techniques. You can purchase a test kit that incorporates a tape that the user can place on the surfaces. You can then send it to a certified lab for thorough analysis. Other advanced kits can help you to check the air for mildew and molds. You can hire a professional cleaner instead of performing the air test which is quite expensive. Additionally, take the time to investigate your home for any leaks, wetness or dampness. If you happen to locate some leaks, search for the actual source and try to fix the problem. You can hire an expert plumber if you think the leak is quite serious. Mildews and molds thrive in damp conditions. Therefore, controlling leaks will minimize the ability to multiply. You can use a dry cloth or towel to clean moisture leaks. Wet and warm places are suitable for molds to thrive. You should also perform a thorough mildew test on your carpet. Removing the mildew smell is the most challenging part. A mildew deodorizer can assist you in this. - Select a superior quality spray that has been certified for safety. - You should also ensure that it will not affect the carpet colors. - You should first read and understand the warranty of your carpet. - Never use a chemical that is potentially harmful to the carpet. - Make sure that your carpet is completely dry before spraying your disinfectant. - Alternatively, Baking soda can be used to eliminate mildew smell from your carpet. - You can make a solution of water and baking soda with a mild detergent. - Next, scrub the carpet with your hands. You can use soap and water to clean the padding. - You also need to concentrate on the sub-floor and padding. Consider replacing the padding if it is extremely damaged. -Vacuum the area thoroughly and try to ascertain the amount of mildew that has been eliminated. - Steam cleaning is another reliable option. - Ensure the steam is hot enough to remove all the mildew. - Steam cleaning is best suited for thin carpets. - You have to pay more attention to the padding when cleaning thick carpets. - Use a detergent solution to clean the stained parts. - Allow your detergent to rest on the stained part for a while. - After rinsing the affected area, blot the detergent off using a clean towel. - You can use a high-intensity fan to ensure that your carpet is completely dry. - Allow the fans to operate for eight hours. -You can spray the area with your deodorizer if the mildew smell persists after cleaning and drying your carpet. - It is vital to sprinkle baking soda over your carpet after removing the mold or mildew. 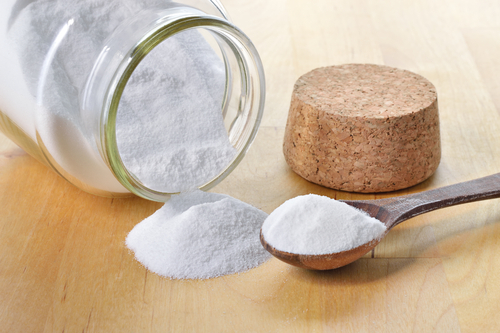 - Baking soda helps to absorb and neutralize the mildew smell. - Allow the baking soda to rest in your carpet for at least twelve hours. - You can then vacuum it. - If the mildew odor fails to go away, you can hire a professional carpet cleaner to assist you in cleaning and disinfecting your carpet properly. - Only hire an expert carpet cleaner who utilizes commercial grade fungicides to treat mildew and mold. Sometimes it is advisable to replace some of the affected parts. Check whether your carpet includes any parts that show exceptionally stubborn mildew stains. 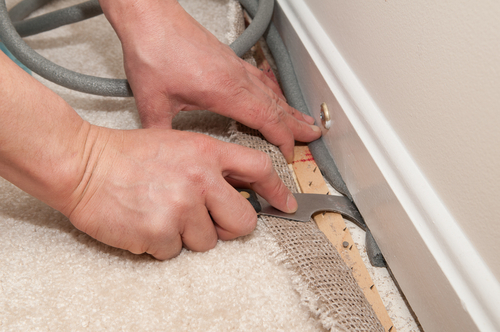 You can use a typical carpet repair kit to replace the stained parts. - Use your carpet knife to remove the damaged areas. - Follow the guidelines on the repair kit to glue on the various replacement fibers. - Your carpeted parts should appear as nice as new. - You can contact mildew and mold removal expert if the mildew or mold has exceptionally spread in the subs-flooring beneath. After removing the mildew and mold smell from your carpet successfully, you have to take the necessary measures to prevent the menace from recurring. You need to know that moisture is the primary cause of mildew and mold. -Always watch for leaks from the roofing and ceiling of your house. -You can also perform mildew and mold test more often to prevent the problem. -Work with professional mold removals and carpet cleaners to keep your home safe. Mastering the above tips on how to remove mildew smell from your carpet may save you lots of health problems. Getting rid of odor that has lasted for many days is not an easy task. You may need to hire expert carpet cleaners to remove the sinister problem. Living in a home that is free from mildew and mold growth is one of the surest ways of ensuring that you and your loved ones are safe from allergens.